Promenade documents the successful architect-artist collaboration of Irena Bauman and Bruce McLean on the RIBA award-winning scheme for the regeneration of Bridlington’s South Seafront. Described as ‘a completely new take on the English Seaside’, their work – and the nature of their collaboration at levels of concept, design, and realisation – is truly exemplary of new architectural possibilities. 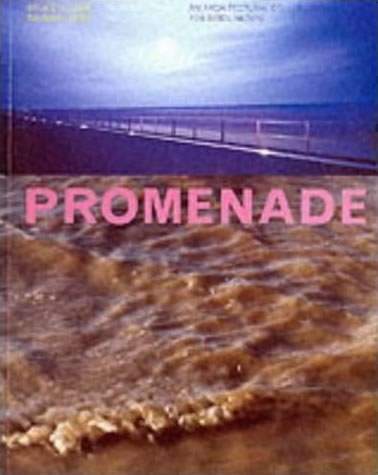 In Promenade Mel Gooding’s narration of the genesis and realisation of the project is complemented by essays on the culture of the seaside, seaside architecture and on art at the edge between land and sea. The book is structured as a walk along the promenade, reaching out from the urban order of the town to the wilder shores to the south. It follows the text-based pavement sculpture of The Nautical Mile which interacts with and reflects on the new promenade.